Mediterranean Inspired Cuisine and Cocktails by the Matthew Kenney Cuisine Team. Soft Macadamia + Grape Leaves. Pine Nut Labne, Orange Oil, Marjoram. Smoked Tomato, Black Truffle, Red Wine Scented. Cashew Halloumi, Oregano Cracker, Smoked Paprika, Dried Black Olive. Preserved Lemon, Radish, Tomato Jam. Sun Dried Tomato Fregula, Almond Yogurt, Mint. Pistachio Yogurt, Sesame, Cumin Wafer, Citrus. Cumin Yogurt, Chili Jam, Parsley Oil. Marcona, Picholine Olives, Almond Oil Dressing. Sumac, Harissa Oil, Olive Flatbread. Toasted Sesame Yogurt, Coriander, Olive Powder. Fried Parsley Leaves, Chili Oil. Market Greens, Green Herb Puree, Avocado. Herb Pita (or) salad style. Tomato, Sun Dried Olives, Cilantro, Green Tahini. Cucumber, Pea Shoots, Preserved Lemon Tahini. Shaved Fennel, Mint, Saffron Almond Yogurt. Caper-Tomato- Sultana-Pine Nut Relish, Green Harisa. Kale Polenta, Fennel, Smoked Salt. Rainbow Chard Agnolotti, Green Olive Puree. Curry Leaves, Wild Mushroom Fattoush. Orange Blossom Gelato, Candied Walnuts. My wife and I went here prior to seeing a play in NYC and had a great meal. Tina is Vegan so I'm always looking for funky Vegetarian restaurants that we can try. We started out with a warm cashew milk cheese and cracker dish (Cashew Halloumi) which was really nice. 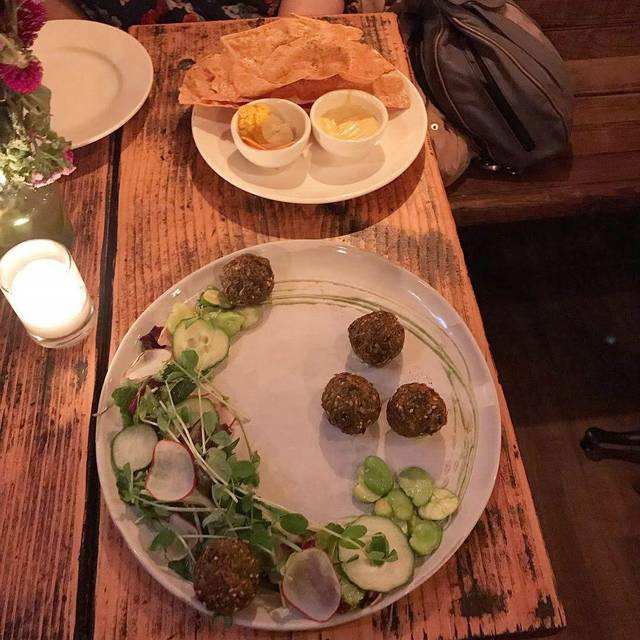 Then we had roast Beet wraps and pea shoot falafel which were excellent. We finished it off with there roasted cauliflower which was awesome. Nice job XYST on the delicious meal and funky environment. Came here for their Valentines Day pre-fixe. The food was amazing. Unfortunately we were rushed through our meal which made for a super uncomfortable experience. Each course was brought out when we hadn’t finished the one prior. When the final course was brought out we were still on the first one and the table was so crowded it was impossible to enjoy the meal. We asked the waiter if they could take back the last course and he was very accommodating. When the final course came back out it was lukewarm - flavors were delicious. 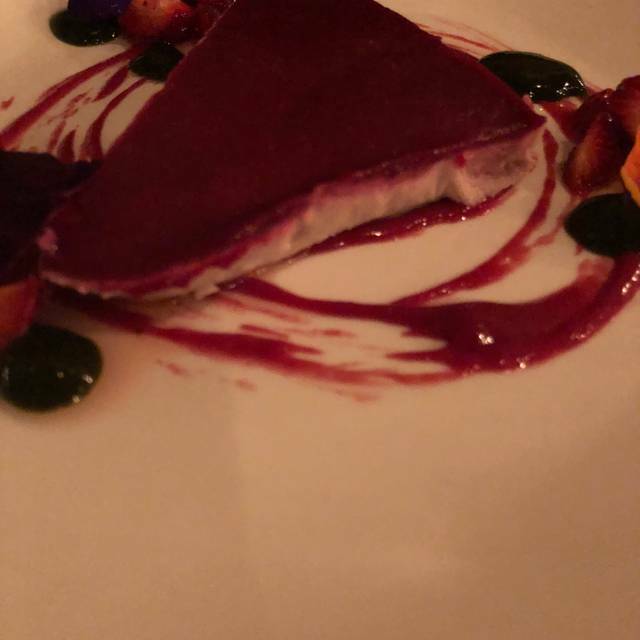 I had much higher expectations based on previous experiences at XYST (and for a $200+ meal). It’s a really cute place overall. The ambiance was lovely perfect for a date night. I was there for Valentine’s Day with my non vegan boyfriend. I liked the food. It had great flavors but I do wish there was pita to the hummus to off set all the veg. All the dishes were purely vegetable based. The flavors were great and I usually eat a raw diet but it was a little much. My boyfriend likes everything too but he did wish there was more pasta. It was a fixed menu so you couldn’t choose what you wanted luckily everything tasted great besides the dessert witch was some creme sort of the with chocolate and fruit. I didn’t like that. Otherwise, the price wasn’t bad, food was good, service was great. Second business dinner here, always a great experience! It was a very cold and windy day, and for some reason the back room which is exposed to the wind was used, so it was cold in the area where we sat. I like this restaurant a lot, and I was introducing a friend to it, so it was disappointing to experience the chill. I’ve been to Xyst a few times now and it’s quickly becoming one my favorite spots. The food is creative, healthy and, most importantly, delicious. I highly recommend the truffle crostini (my favorite! 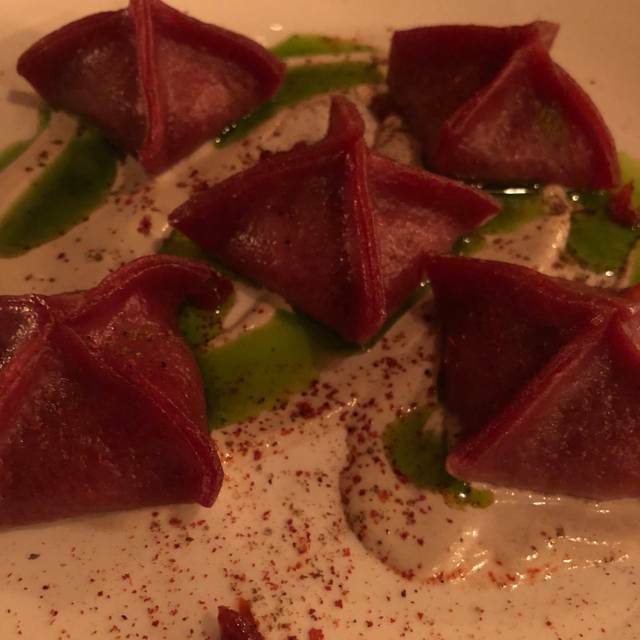 ), beet manti, smoked hummus and lemon meringue pie. The cacao cocktail is also really good. 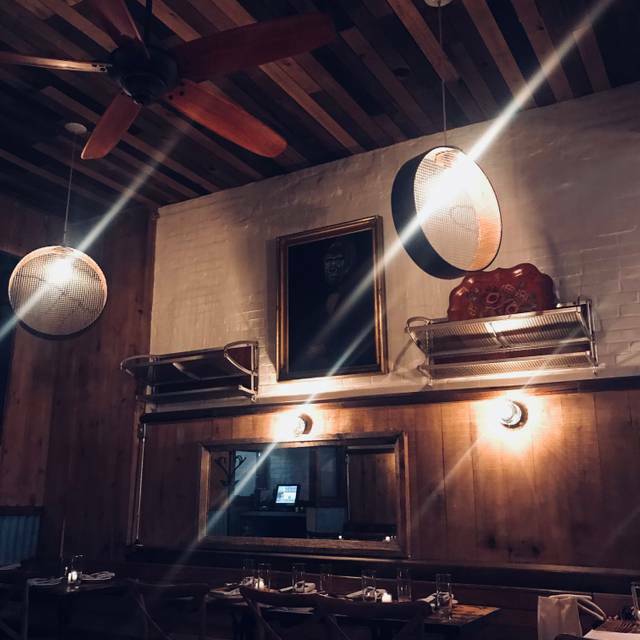 Xyst has a refined aesthetic- plating is beautiful and the interior has a classy, grown up vibe. They even have a fireplace in the back room! 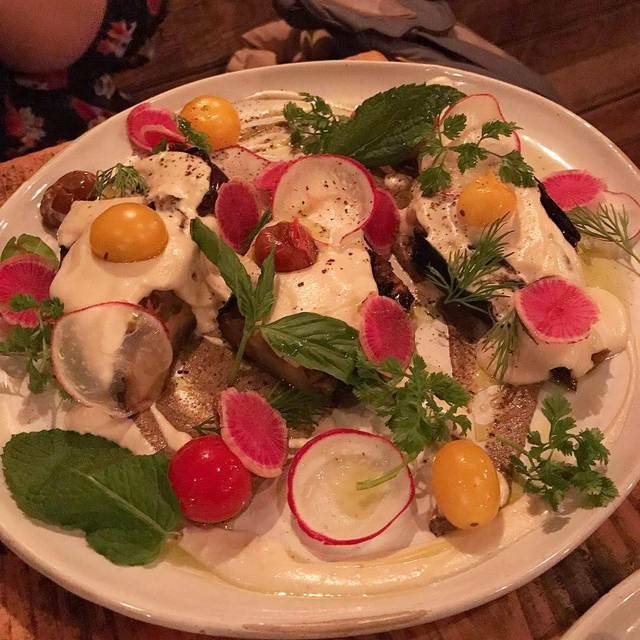 For vegan fine dining, this is one of the best in the city. The food was only surpassed by the incredibly knowledgeable and attentive staff!! Former NYC friends, now visiting from out of town, kept insisting it was “the best meal they’d had in NYC!” We will be back!! Excellent menu. Respectful staff. Great wine list. Service was appallingly slow. I was the one that recommended the restaurant and they forgot my order! Everyone else was finished with their meals by the time mine showed up! Still delicious, but disappointing....especially then the place was empty. Just delicious! The ingredients were so fresh and unlike some restaurants that seem to slop together the ingredients on a bed of lettuce, this was thoughtfully prepared to engage all parts in each bite. At lunchtime at least, it was quiet and relaxed so it was easy to have a conversation and good for digestion! Dinner with my gf, I don't eat dairy and she doesn't eat meat. The pace is beautiful and well designed and cozy, perfect for a date. We tried 5 different dishes, 1 dessert and 1 cocktail. We really enjoyed everything we tried, great and unique textures! We are coming back! for sure! Nearly everything was great. The food was excellent - creative and flavoursome and the service was good. However, the lack of heat was so distracting I could not enjoy my meal. We were seated in a back room with a fireplace, which started out delightfully cozy and warm. However, with all the servers going in and out of the room constantly the doors were left open causing the heat to leave the room. I asked to be seated elsewhere. Their solution was to close the door, but very soon the doors were left open again. I wanted to enjoy my meal and company not be a door monitor. Would not recommend going there in winter. Great place for a group of friends or a romantic dinner..Beautiful ambiance of the back room. However, the dishes were served very quickly one after the other which created a little chaos on my table. I would suggest keeping a little gap between different servings. Delicious and creative vegetarian food. I wasn't blown away by the food but it was entirely satisfying, with relatively healthy and tasty options. Not as pricey as some of the top vegetarian restaurants in NYC but not cheap either. I would definitely go back. I usually don't write this bad for vegan food.. in fairness, the cheese starters were good. My falafels were horrible and dry. When the waiter gave me the food, he put it down and said 'here'... NOT so great! Delicious & creative veggie options! Very satisfied. First time. Food was very tasty. Nice ambiance. Our server took our order, brought our drinks and food, and never returned to check up on us nor ask if we wanted dessert. Our cups were dry for the last 25 mins leading up to our departure. We also never received one of the three food items we ordered (but it was on our bill). I had to go and request the check myself. Too many great places in the city with equal or better food, and much better service. This was my first experience at a restaurant that was fully committed to the vegan diet. As a non-vegan, the food was scrumptious, original, presented in a creative fashion and left me satisfied. 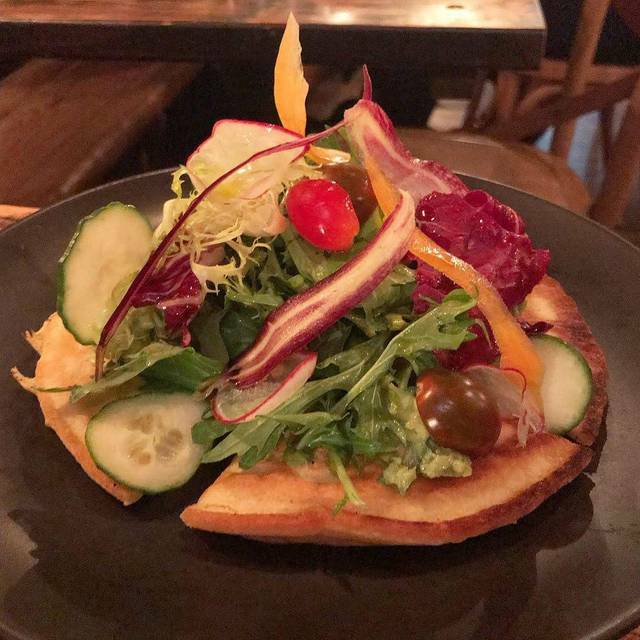 My friend who is vegan, said that was some of the best vegan food she has eaten. The drinks (old fashioned and rooibos chai tea) were also delicious and complimented the meal very well. The service was meticulous and the ambiance was quiet, private in nature and romantic. It was my first time there and I am looking forward to going back soon. I cannot rave about the food enough. Everything we ordered was delicious. The service and ambiance outstanding! It was a date and we both had a lovely experience. Great high-end rustic feel to the cozy interior. The food was very good overall. The pricing was expensive for the size of the plates. Food was up to the high standards - visually and gastronomically that I would expect from Matthew Kenney! Delicious all around and ambience was perfect as well. I thought the food was good not great, and certainly not as good as some of the reviews made it out to be. For this reason, I found it too expensive. 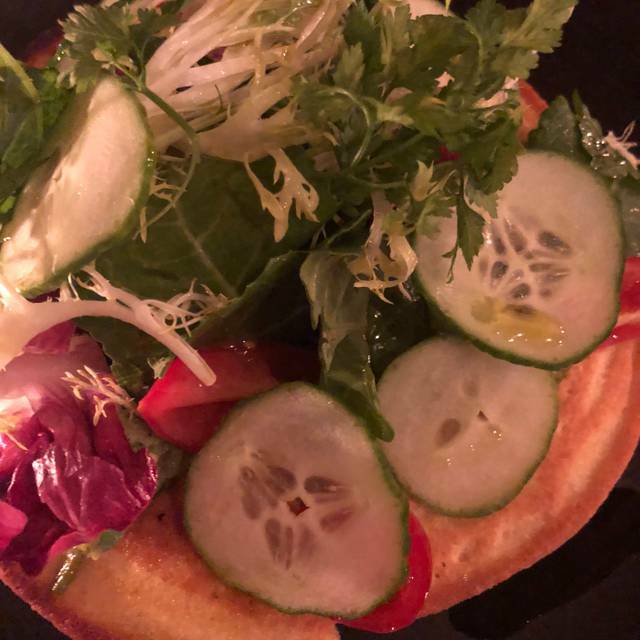 The food quality & style are just a few degrees above old school vegan cafe food - and for this reason a dinner for 4 shouldn't come out to $400 after tip. Service can be improved. The waiter must've been very new or untrained as we had to get him to take our drinks orders and our dinner orders. He was standing by his station on both occasions. Food came out very quickly, though. Made a reservation for 7:45. Arrived at 7:35 and were told wait would be 25 minutes. Asked for an update at 8 PM, told that there were "others who were ahead of us." Noted that we had a reservation. No real response. Asked for an update at 8:15 and were told that a party of 4 waiting nearby had a reservation for 7:30 and was still waiting for their table. Shockingly, we did not feel better. Asked again about our table at 8:30 and were told that we were "mean" and this was a "mean free" restaurant. Left. Excellent dinner. Excellent service. We did have the staff explain some of the dishes on the menu, but we were pleased with everything. The staff was very accomodating. One of my people accidently set a menu on fire (from a candle) and they just brought more menu. The lemon pie dessert was a real winner with my crowd. Loved the quiet room in the back, with a gas fireplace. Great ambiance - perfect refuge on a cold night. Our server was attentive without being a pest. The Meze plates were excellent. Two of us shared four of these plates and one entree. It was too much food; next time we'll omit the entree (cauliflower that was slightly overcooked but tasty - the only food we had that wasn't spot-on). Wonderfully delicious delicacies for vegans, vegetarians and omnivores! Must try! The food was absolutely amazing !! Delicious vegan food but you’re not that aware of the “vegan” since it’s just so yummy!! We sat in the back with the fireplace which was so cozy. Wonderful experience, creative & beautifully presented. Can’t wait to return! Delicious vegan food and creative cocktails at decent prices. Everything we ate had a fantastic flavor, and the serving sizes were excellent. amazing, creative vegan food, & wonderful mellow ambiance. 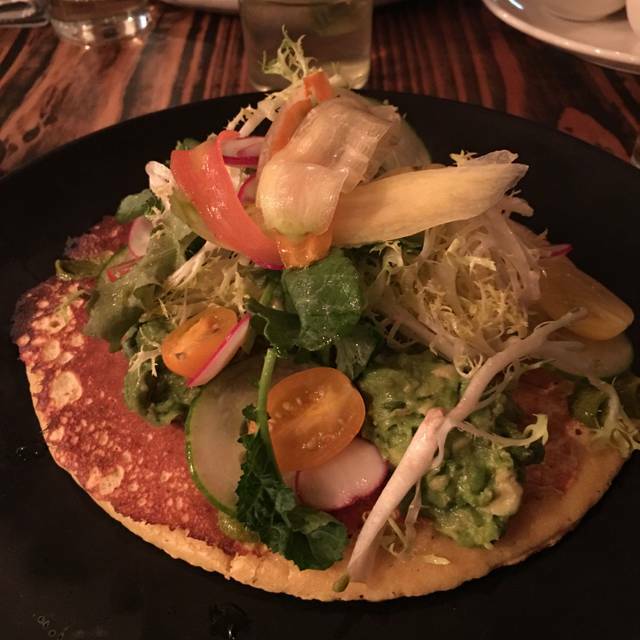 Enjoyed a delicious plant based dinner with so many tasty options - definitely would go there again. We were offered a seat in the small fireplace room in back which was wonderful. The menu has a slightly lower than average selection. The service was good and our food came quickly. 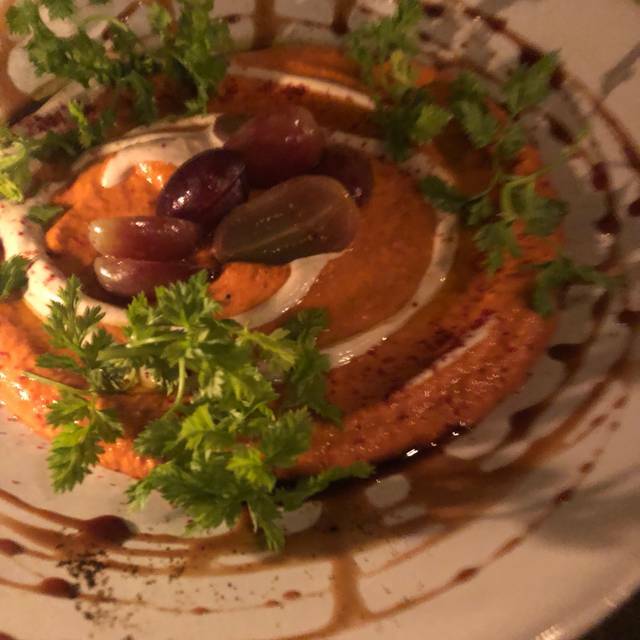 Truly memorable flavors and presentation and ultra-fresh ingredients put smiles on our faces all night. Unfortunately, the portion size was well below any reasonable expectation and given that, the prices were eye-brow-raising. Our reservation was early and at that time the noise level was quiet but as we were leaving, it was difficult for us to get our coats on and even to speak as we left. We were disappointed with all of the dishes we tried. Everything was bland and flavorless.